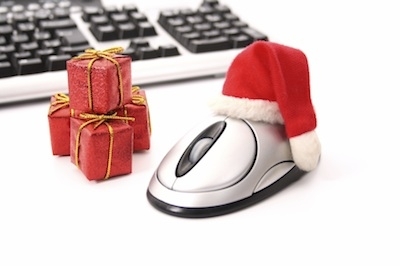 Festive greetings from Retail Technology! Results of a survey carried out among the retailer membership of e-retail trade organisation IMRG have today confirmed the problems experienced by RBS and Natwest customers on Mega Monday had a negative impact sales. Traditionally the busiest online shopping day in the run to Christmas in the UK, e-commerce traffic on 2 December this year increased as forecast. But conversions were down, with IMRG confirming 44% of retailers surveyed said the banking glitch had a negative impact on sales. Of those retailers that were affected, the average loss in daily sales was 4.3%, however, one retailer reported sales were down 17% as a result. While 8% of retailers surveyed stated they were uncertain as to whether there was indeed an impact on sales, the 48% that were unaffected put their resilience down to the multiple payment and delivery options available to consumers. In canvassing opinion among its membership, it also found almost nine out of 10 retailers (89%) claim their busiest Christmas online trading day is yet to come. Tina Spooner, chief information officer at IMRG, said: “While many retailers reported strong sales on 2 December, the overwhelming majority said their peak festive trading day is yet to come. It appears we are seeing a change in consumer shopping behaviour over the festive period. The majority (60%) of retailers believe their busiest online trading day will fall between 8 and 17 December, with 46% believing it will fall between the 8 and 12 December. This tallies with other predictions as well as a survey IMRG conducted in September, which revealed 37% of online retailers expected the week commencing 9 December to be their busiest, compared with 29% who thought their peak would be week commencing 2 December. Sean McKee, head of e-commerce and customer services at Schuh, stated: “For Schuh the key day pre-Christmas is likely to be evenly spread between 9 and 16 December. All contents copyright © 2019 Retail Technology under license to Zendu Contracting Services Ltd. All rights reserved.